Firstly, Singapore Surf Anglerz would like to congratulate on the appointment of our new team captain, Shedinja and vice-captain, Saleh on 7 December 2007. Saleh & Yan called me up to go castnetting with them at around Changi Beaches in search to get bait supplies for the next day overnight fishing at Bedok Jetty (BJT) just in case BJT tambans are not around or hard to get. They reached at 6pm while I arrived at 8pm as I have just reached Singapore from Johor Bahru, shopping with my girlfriend family. While Saleh decides to stop his castnetting, I still continued with my castnet while Yan caddied me till Changi Beach CP7. 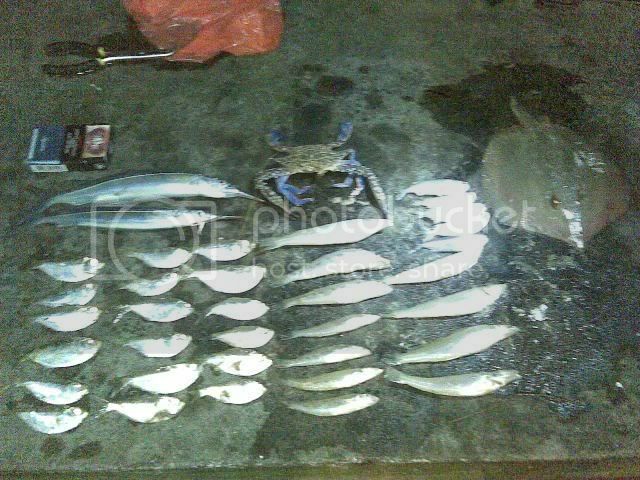 Tua Bak, Flower Crab, Big Half Beaks, Pasir-pasir and table-sized ray were caught that night. Smaller rays which from my point of view which are consider small were released back. Along the way, we managed to spend some of our time catching up with some of the anglers there to know what fish have they brought up. To our suprise, one of Singapore Surf Anglerz favourite all-time targets and food fish, the Marine Catfish which are commonly known as Duri have returned to our spots. Yan was swearing himself for not bringing his rod down as Duri has came back. 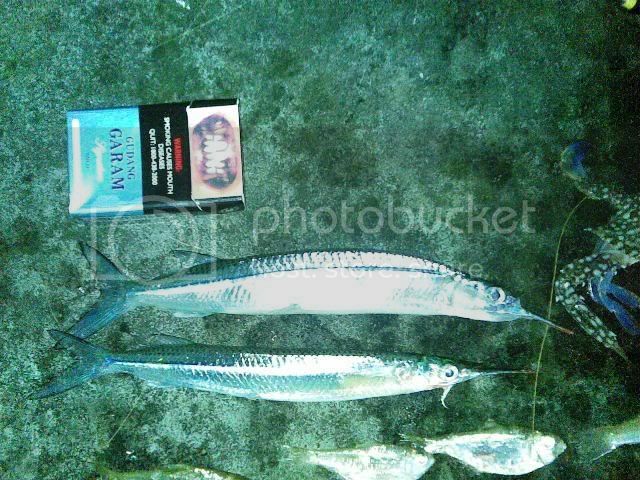 We witness that some of the duri which some of the anglers caught there was in the one to three kilogram range while one of the duri was about four kilogram plus. Then, after castnetting, meet up with Saleh who was away talking with one of the anglers. Saleh too was frustrated that he suggest that, since Duri has returned, why not we hunt it tomorrow night instead of BJT. Anyway, do stay tune if we managed to get the Duri at usual spot.